NUBASS Union President Sack RIGHT OR WRONG? HomeNUBASSNUBASS Union President Sack RIGHT OR WRONG? Information available to beautifularewa.com from sources within the Bauchi State government house indicate that the Governor of Bauchi State has finally drawn blood against the President of the Bauchi State Union [National Body] – in retaliation for the supposed embarrassment of rejecting a N7million. As learnt, the Governor of Bauchi State was not particularly happy with the President for having gone to the Media with the news of his rejection of the august gift from the Governor. The Governor instructed the appropriate channels within the student body to sack the President, and they did. [See resolution letter pasted below]. The letter of sack [suspension] alleged of fund embezzlement. The President of the Union had rejected the N7million from the Governor as protest for the governor’s refusal to pay scholarships fees which the administration had pledged to do. The Governor, as beautifularewa.com learnt wanted to use the N7million to silent the Student Union into not raising dust over the owed monies. So a few days following the end official launching of the scholarship on February 24, the Governor threw into gear the plot to remove the Union President. Further investigation indicates that the Governor may have other motives for working to remove the Student Head. 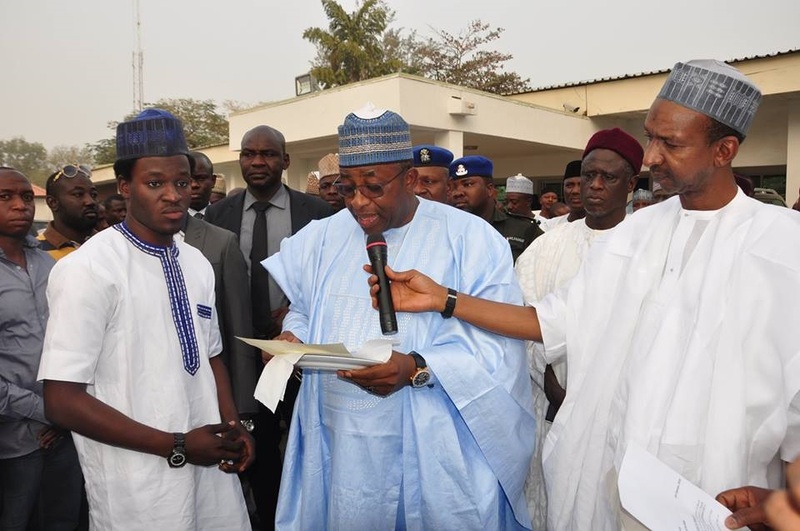 Beyond the embarrassment meted to him, the Student Head is reported to come from a part of Bauchi State considered hostile to the part of Bauchi which the Governor comes from. 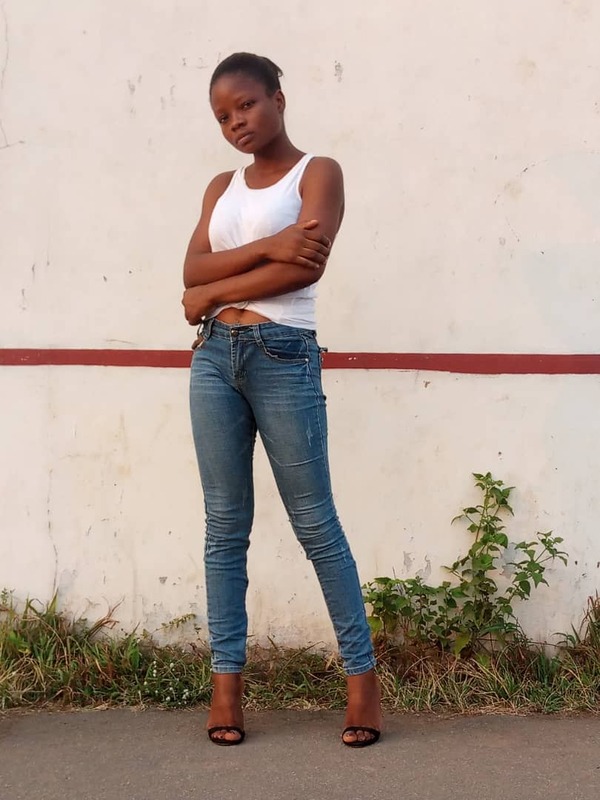 Particularly, the Student Head, according to the Governor’s people are suspected to be working with the opposition – likely a one time gubernatorial aspirant who lost out to the Governor. But the President of the Student has denied all wrong doing. [see letter below]. One of the executive members who spoke to beautifularewa.com indicated that the State Governor has managed to reach out to the other bodies within the Student Union. He said the President has not done anything thing wrong. His words, “the fact is that they want him to be compromised, while the president had in many times pledged to work freely for the betterment of Bauchi State”. Pursuant to the numerous complaints and petitions received by this Hon. House, particularly against the misconduct, abuse of office and extra constitutional activities of the National president from various members of the Union both at individual and group levels. After series of consultations of different stakeholders of this Union by the principal officers of the house, this meeting became necessary and same duly covered by Article 13 Section 66 (5) of the Union’s Constitution. The house members met recently and in consideration of these numerous allegations against the president wrote to the president an official invitation to come to the House at an appointed day to defend himself on the numerous allegations. That was done to give him an opportunity of being heard in compliance with the Union’s constitution. Appointment of more than 5 honorary members (Special Assistants), in contravention of Articles 1 Section 8 (3) and Article 4 Section 21 (7). Constitution of Retrieval Committee without the approval of the House, in contravention of Article 3 Section 17(2) of the Constitution of the Union. Appointed Auditor General of the Union single handedly in contravention of Article 7 Section (1) (b). Received cheque for the payment of the sum of N3,000,000.00 from Bauchi State Government, and without considering the house and or any other organ of the Union, cash the cheque and refused to answer any question with regards the said money. This is a breach of Article 11 Section 56 (1) of the NUBASS Constitution. In contravention of Article 4 Section 20 (1) of the Constitution, the president was alleged to have appointed organizing Secretary for the Union and sidelined all the other elected members of his EXCO in the conduct of the Union’s activities. Of all the above mentioned allegations among many others, the president decided to ed allegations among many others, the president decided to ignore, refused and or neglected to honour the invitation of the members of the LBRA, the Senators despite the repeat of same invitation. This the house considered as a total disregard to its members and their authority as the Executives and representatives of Local Branches across the globe. The House therefore was of the view that the National President has put himself in position where his personal interest conflict with his official duties and responsibilities as National president, contrary to the provision of Article 10 Section 52 (1) of the Constitution of the Union. The house eventually forwarded the National President’s case to the National Judicial Counsel in compliance with the provision of Article 10 Section 52 (3) of the same constitution. That the National president is hereby suspended pending the outcome of a thorough investigation of the Allegations Against him. That a high powered Committee be constituted from the joint members of the EXCO and LBRA members, to investigate all the allegations against the National President and submit their report to the Judicial Council within the period of one Month. That the Executive Council of the Union shall meet immediately to fill the vacant position of the National President in accordance with the provision of the Constitution of the Union. 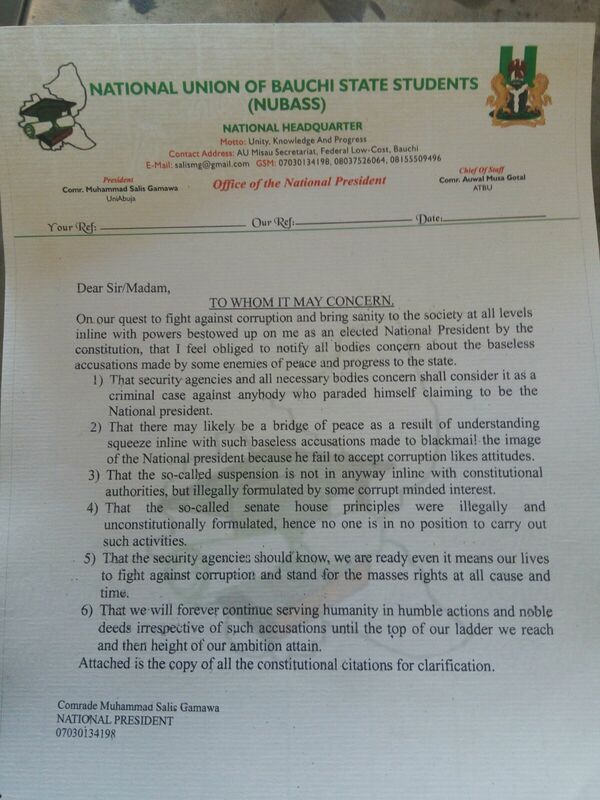 the National President in accordance with the provision of the Constitution of the Union. With the above mentioned development, this House converged today the 27th day of February 2016 considered and adopted the Decision of the Judicial Counsel of the Union by the Unanimous votes of the entire members, more than 45 of them present at meeting. The decision as per paragraphs a, b, and c above is therefore a valid decision of the Union for immediate execution. The joint LBRA/EXCO committee members will be constituted and inaugurated soon, in compliance with paragraph b of the Judicial Council directive. Attached is an attendance list for the meeting. The house adjourned its sitting to a later date to be announced in due course. His Excellency M. A. Abubakar Esq. Executive Governor, Bauchi State. The Honourable Speaker, Bauchi State House of Assembly, Bauchi. The Attorney General and Commissioner of Justice, Bauchi State. The Nigerian Union Of Journalist, Bauchi State Chapter.